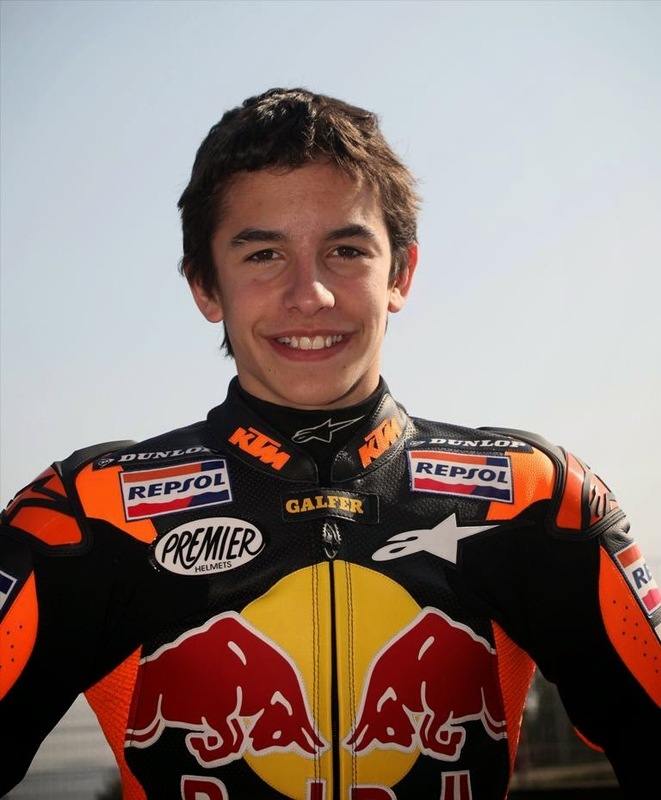 No Fenders -Formula 1, IndyCar and A Whole lot more..: MOTO GP: Can Anyone Beat Marc Marquez? As amazingly, 21yr old Spaniard Marc Marquez has simply been untouchable this year, having won an astounding nine in-a-row victories this season, having taken a clean sweep of the championship's races this year... As I've never heard of anybody ever winning half of the seasons races in succession; having reached the midway point of this year's 18-race MotoGP calendar at Germany's Achsenring on July 13th; Aye Karumba! To try putting into perspective Marquez feat, only two riders ever in the history of modern Grand Prix Motorcycle racing have won more than 100 total Grand Prix's, which includes all classes since the modern era's championship began in 1949, i.e. ; 125cc, 250cc, 350cc, 500cc, MotoGP, etc. With the all-time winner being the great Giacomo Agostini who retired in 1977, with 122-wins, followed by countryman Valentino Rossi's 106, as interestingly, both men hail from Italy. Current MotoGP rider's George Lorenzo and Dani Pedrosa are the only others to rank in the Top-10, with Lorenzo currently tied for sixth with 52-overall wins, and Pedrosa eighth, with 48, while the mercurial Marquez, who's only in his second season of riding the B-I-G Bikes, nee MotoGP currently resides in 13th place overall with 41-wins, beginning with his first victory in 125cc's at the 2010 Italian GP. Thus can anyone stop Marquez's winning streak this weekend in Indianapolis? As MotoGP will set a "New Track Record" this Sunday at the Brickyard... Since it'll be their debutant outing on the newly reconfigured road course. Marquez has a commanding 77-points lead over Repsol Honda team-mate Pedrosa and could afford to sit out Indy plus the following two races and still retain the points lead!